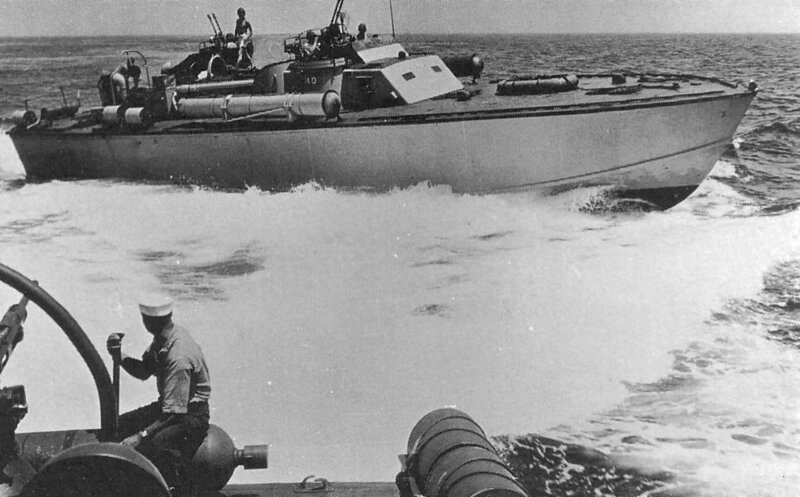 64k PT-140 underway off Melville, RI, during August-September 1943. 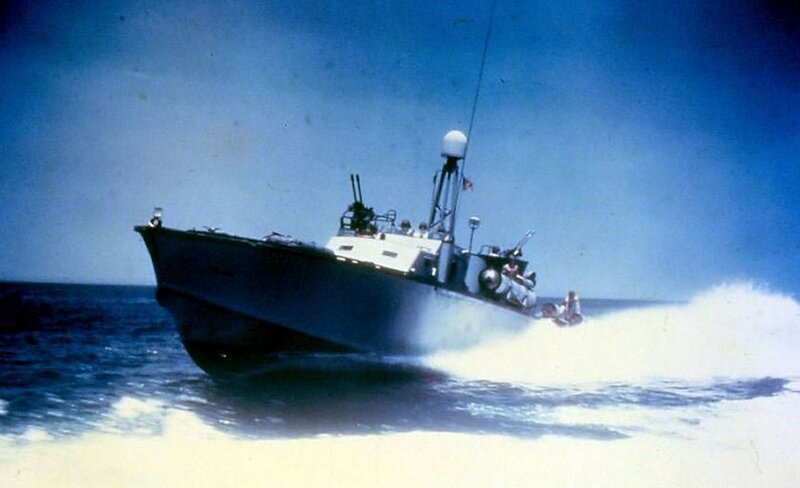 The boat was assigned to MTB Squadron Four, The PT Training Squadron Based at Melville. 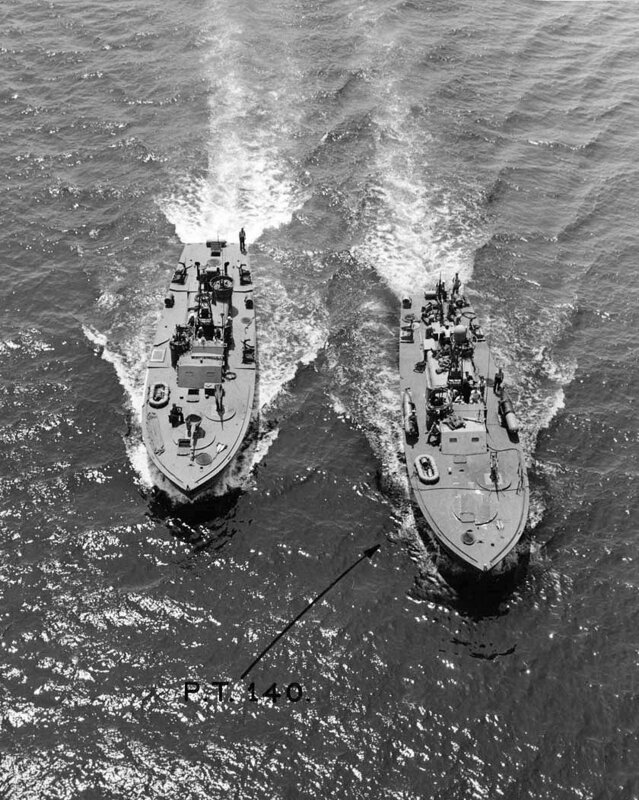 Note her "SO" radar antenna "RADOME" atop the mast, and depth charges carried aft in place of her second pair of torpedo tubes.